The Antimonopoly Committee of Ukraine is demanding that the Kyivstar mobile communication operator refrain from raising tariffs for mobile communications. “In implementation of a directive by the President of Ukraine concerning ensuring stability of prices and tariffs at the socially significant markets, the Antimonopoly Committee proposed that Kyivstar abandon raising of tariffs for its services, report to the Committee about this done, and inform the publicity,” the statement quotes the committee’s acting chairman Oleksandr Melnychenko as saying. He stressed that if the operator raised its tariffs the Committee would consider such a move as a violation of the competition laws. The committee has already notified the operator about it demands officially. The Antimonopoly Committee’s press secretary Bohdan Yakymiuk told Ukrainian News that the committee sent this demand specifically to Kyivstar because it is the only mobile communications operator that has announced plans to raise several of its tariffs for mobile communications services. According to him, the Antimonopoly Committee will send similar demands to other mobile communications operators if they announce plans to raise tariffs or if they raise tariffs without warning. 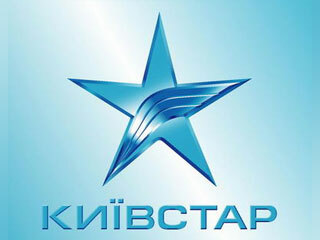 Kyivstar informed its subscribers in an official statement on March 19 that it was raising charges in some of its tariff plans. As Ukrainian News earlier reported, in February, the number of Kyivstar subscribers decreased by 0.1% or 0.03 million to 21.980 million subscribers against January. Kyivstar finished 2009 with a profit of NOK 5.1 billion, having reduced its net revenue by 34.6% or NOK 4.787 billion to NOK 9.047 billion, as compared with 2008. Telenor telecommunication company (Norway) owns 56.51% of the shares in Kyivstar and Storm (part of Russia’s Alfa Group) owns 43.49%.